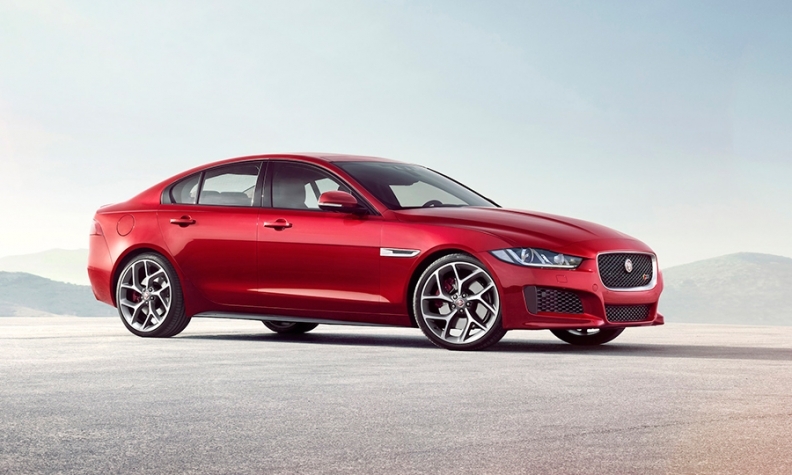 The Jaguar XE could get the luxury brand back on track. “Push the engine start button and the V6 wakes with a roar that’d turn a Mustang fan’s head, then settles to an understated, buttery idle. Jaguar’s engineers talk about the 50-meter feel being crucial, and you quickly notice the smooth transmission, the chunky D-pillars (the XE’s backup camera is essential), the precise steering and suspension compliance over speed bumps. As speed builds on the freeway, the refinement really catches your attention: subdued wind noise, minimal tire roar, suspension administrating a shot of local anesthetic to fractured pavement and pronounced expansion joints. Even when you push the XE beyond 100 mph, the cabin has a detached calm. “At low speeds there’s a grumbly mew from the four-pot motor but that vanishes once it’s spinning freely on the autoroute. A generous swell of torque whooshes the XE along so effortlessly it feels positively soporific at a three-figure cruise. Off the motorway, the XE hooks into corners with confidence-inspiring stability and the suspension’s long-travel flow ensures mid-bend bumps won’t deflect it from its line. That stiff aluminum structure and double-wishbone suspension has paid dividends. It’s comfortable, too. We stop to refuel after four hours and I bound out without a trace of back pain or stiffness.